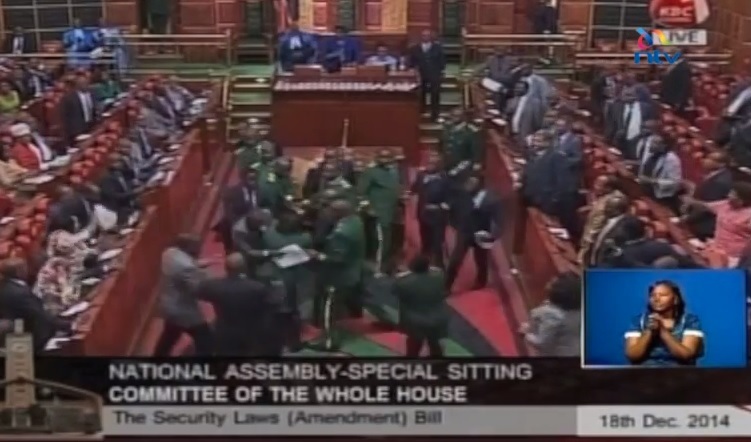 A brawl broke out in the Kenya Parliament Friday over a controversial security law. The new law, backed by the president, allows security forces to hold suspects for up to a year without charges. The law also empowers a domestic spy force to carry out covert operations. The bill was passed by the National Assembly, after the chaos. Security was brought into parliament to protect the members. A brawl broke out anyway. The lawmakers danced and hugged after the bill was passed.